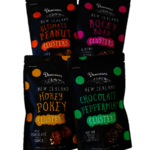 Great Value Gift - Perfect for any Occasion. 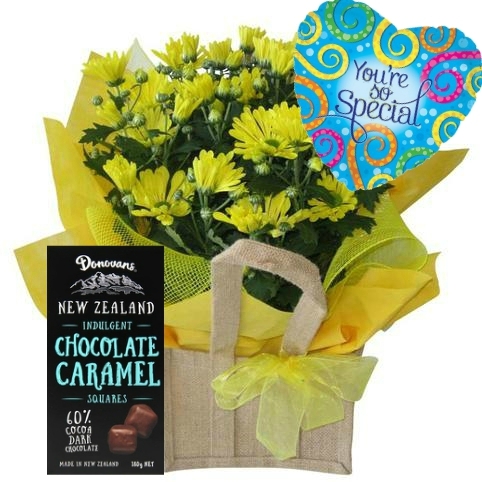 A pretty jute basket containing a fresh flowering plant, a yummy box of NZ made Donovans Chocolates and an air-filled stick balloon. 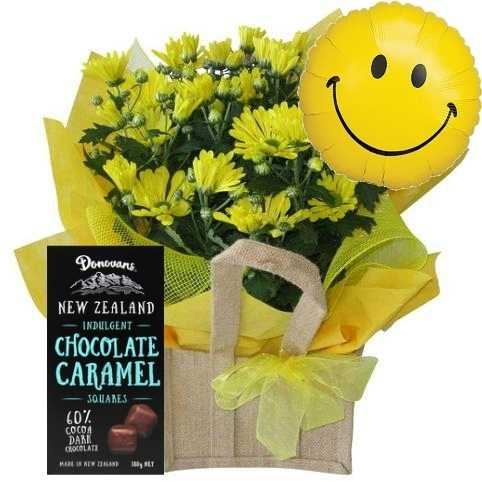 YES - You can change the balloon - this great gift idea can be specially made to suit your occasion. We have a wide range of stick balloons to suit all occasions - VALENTINE'S DAY, Happy Birthday, Get Well Soon, Thank you, You're Special, I Love You, Happy Anniversary, New Baby and lots, lots more. 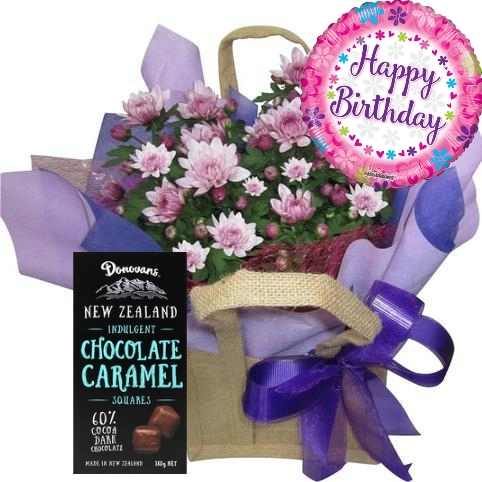 Please do tell us in the Notes to Florist section the event you are celebrating and we will choose a matching balloon to suit your plant gift basket. Plant Colour: Please do note that the plants come into us as a mixed variety of colours and the colour may vary from the picture. 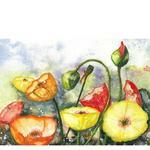 Please do tell us if you have a special colour preference in the Notes to Florist section of your order. 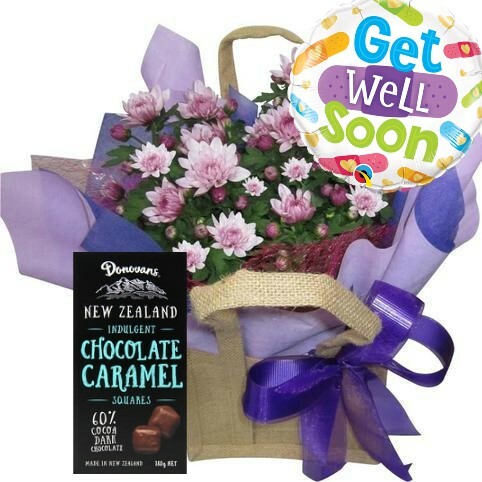 Standard inc Flowering plant, chocolates, Stick Balloon.